Skype for Business Call Integration is usually something most of our competitors would charge you inordinate prices to use, but as with all other functionality in NetHelpDesk, we include it as standard. Allowing your agents to see who is calling, with avatars of the users if they have been uploaded, and all the relevant information they could need, in order to provide the very best service. The screens aren't just informative, but incredibly useful, and interative. Add notes of how the call is progressing, add details of the outcome of the call, and much more. 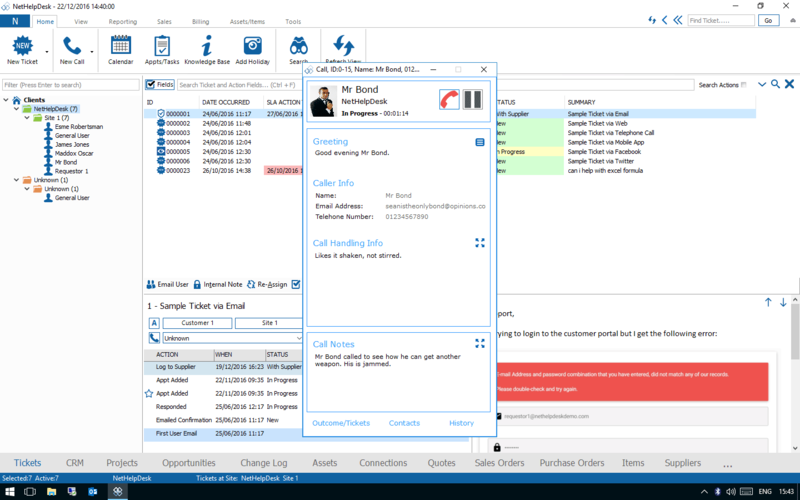 NetHelpDesk can display incoming call pop-ups, place outgoing calls, and display the call handling screen when a call is connected in Skype for Business, formerly known as Microsoft Lync. This integration is part of the NetHelpDesk “Notify” program, and is available from version 10.31 of NetHelpDesk onwards. Integrate with Skype For Business software rather than replace it. Display pop-up windows when receiving incoming calls via Skype for Business. 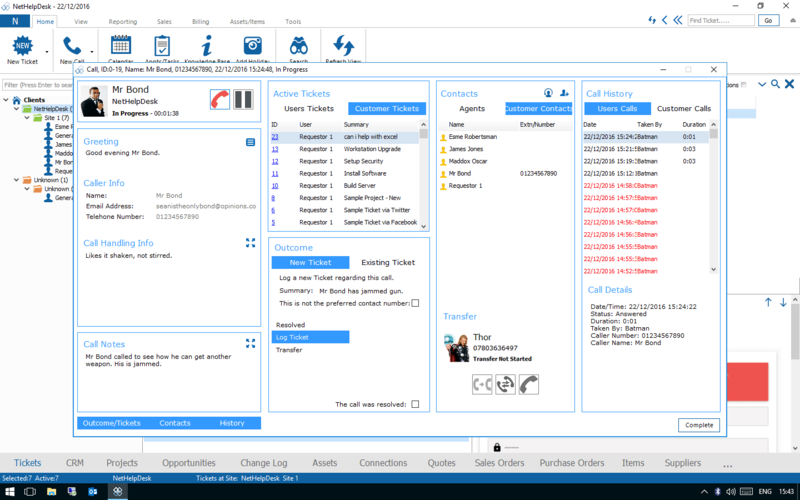 Place outgoing calls from NetHelpDesk via Skype for Business. Display the call handling screen when a call is connected in Skype for Business. Becomes part of the Notify applications' many function benefits. Minimal configuration required for this in NetHelpDesk. You choose the Skype for Business accounts to integrate with. 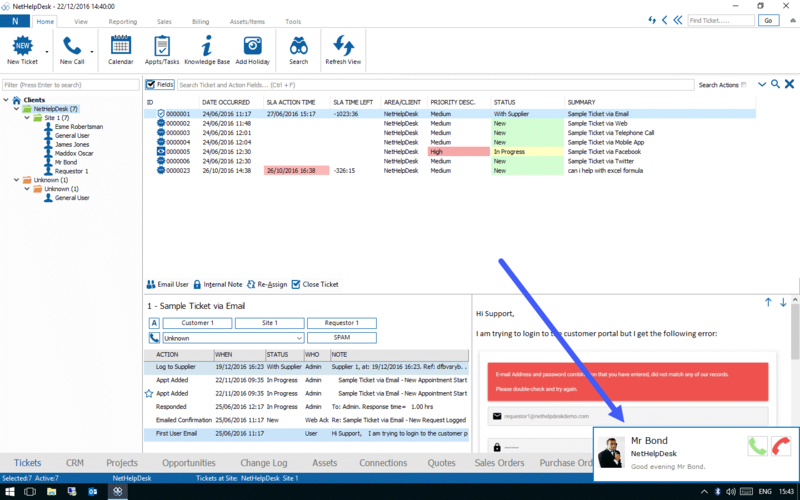 Utilise NetHelpDesk's notification features to maximise efficiency. Specify call handling notes when taking calls via Skype For Business. Tell NHD if there is any other funcionality you wish to use with Skype For Business.